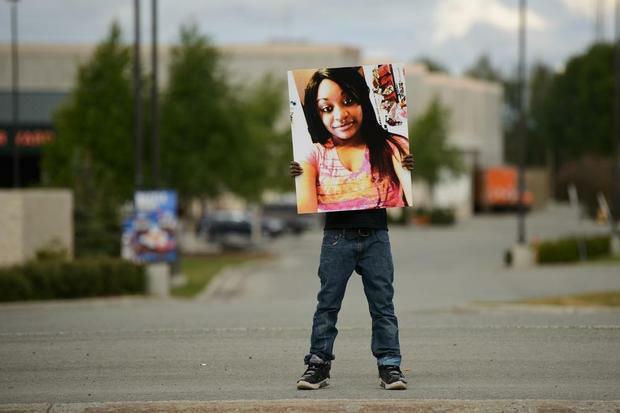 Citari Townes-Sweatt, 20, stopped home to change clothes after her shift at Costco. She picked out a cute brown-and-white dress, posted a selfie to Instagram and nibbled the steak her mother had made for her. Another warm, sunlit Saturday night began in Mountain View. Citari bounded down the apartment stairs and a friend drove her to Sea Galley, where she ate her last meal, a cheeseburger. About the same time, late on June 29 of this year, a 22-year-old Air Force airman began a night of drinking. He started at one Anchorage bar and ended at another, later admitting to downing five shots of liquor and three beers at Chilkoot Charlie’s on Spenard Road, according to police and prosecutors. His name was Lane Douglas Wyatt and he’d been in Alaska less than a year. At 4:58 a.m., the two lives collided. Wyatt’s two-ton sedan T-boned the white 2004 Monte Carlo driven by Townes-Sweatt and carrying four passengers, according to the murder charges filed against the airman. Wyatt ran a red light at 50 to 55 miles an hour while headed north on Boniface Parkway, prosecutors said. His blood-alcohol level after the crash was .196, more than twice the legal limit to drive. Citari died instantly. Her death ended a 14-month run without a fatal drunken-driving accident in Anchorage, devastated a longtime Anchorage family and torpedoed a fledging military career. So began the string of deadly DUI crashes that has sent local police scrambling for solutions. Within two months, four more people were dead. On July 12, Andre P. Clinton, 29, was awaiting trial on a drunken-driving charge from earlier in the year when he took the wheel of a Chevrolet Avalanche. Clinton had been drinking that night too, police said. 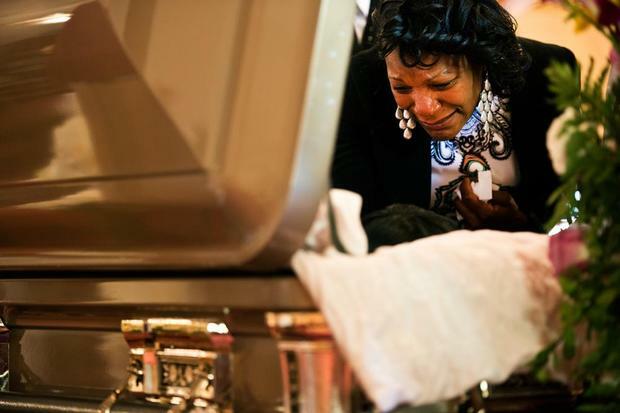 The big truck rolled in East Anchorage, killing 32-year-old passenger Marcia Mausali. The next month, a man with a blood-alcohol level three times the legal limit ran down two 15-year-old schoolgirls, Jordyn Durr and Brooke McPheters, as they walked home from shopping, police said. The driver, Stacey Allen Graham, had attended a golf tournament before the crash. He is awaiting trial on two counts of second-degree murder. The rising body count spurred Police Chief Mark Mew to hold an Aug. 16 rally at West High School, where he asked citizens to call 911 anytime they spot a dangerous driver. He announced that police would work overtime weekend shifts indefinitely to boost DUI arrests. He even took the unusual step of appointing civilian patrols to drive the streets late at night, looking for anyone who appeared to be drunk behind the wheel. On the night of Mew’s rally, 34-year-old Stephen C. Kenny left a party in South Anchorage and crashed into a fence, according to police. He died in his truck. Police said he’d been drinking. 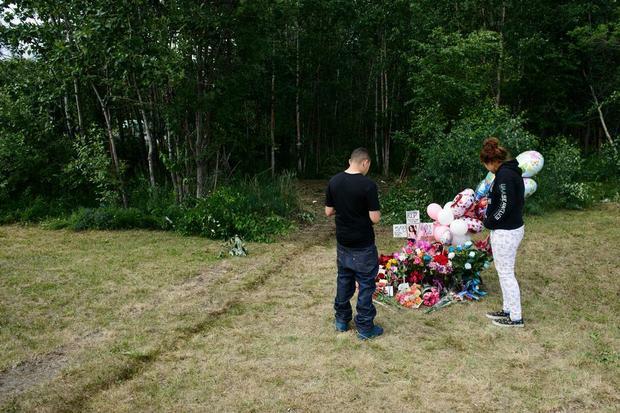 The tragedies obscure an overall decline in alcohol-related traffic fatalities in Alaska over the past decade. Mew credits aggressive public awareness campaigns, safer cars and battle-hardened medics who traded Strykers for ambulances. Yet drunken driving remains one of the state’s most common major crimes — an equal opportunity life-sinker that leads to the arrest of more than 4,000 Alaskans each year. About half of those cases are in Anchorage. Convicted drivers pay thousands of dollars in impound fees, insurance bills and court fines. First-time offenders lose their licenses for 90 days and must install an ignition “interlock” in their cars for six months. In most cases, only the driver suffers the consequences. Citari Townes-Sweatt was one of the terrible exceptions. For military and city leaders, her death raised new questions about what should be done to curb drunken driving. 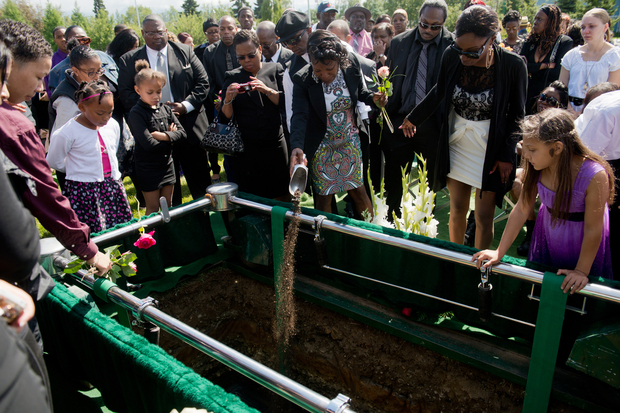 For her family it was a first encounter with profound and senseless loss. 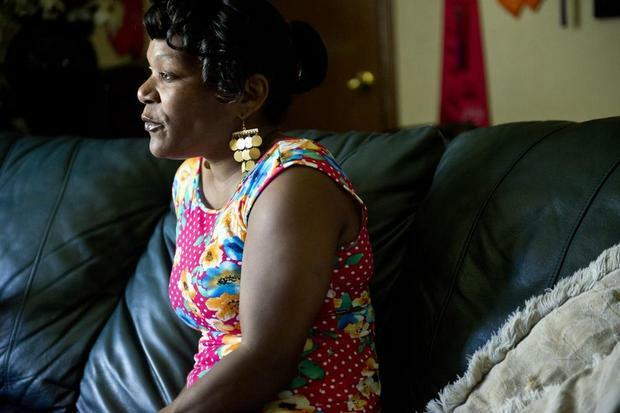 Lanita Sweatt-Sanders spent the night before the crash folding laundry in her Mountain View apartment while the TV chattered in the living room. The steak she bought at the nearby Red Apple marinated on the kitchen counter. In one of Anchorage’s poorest neighborhoods, five high school graduation caps hung on the wall. Only Lanita’s youngest girl, Citari, still lived at home. Lanita welcomed the company. Citari came home from her job displaying clothes at Costco about 9:30 p.m. and took a hasty shower. “I’m fixing to go out with my friends,” she said. When Citari returned a couple of hours later to change, she took the keys to the sleek 2004 Monte Carlo she’d purchased earlier in the week for $3,000. It was her first time behind the wheel of the car. Lanita played dominos and went to sleep. 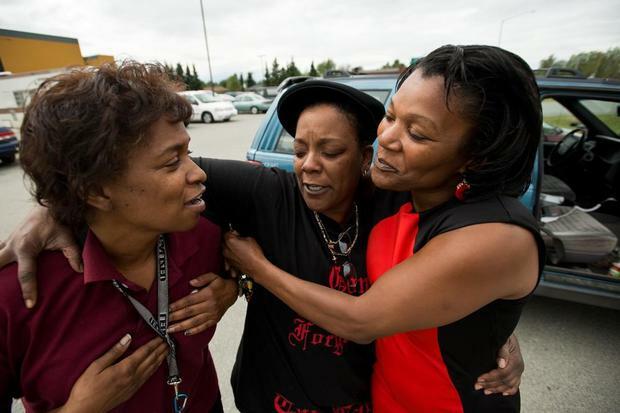 Citari and her friends drove to a window-rattling house party in Mountain View, recalled Shizue Walker, her closest friend. About 3:30 a.m., the police arrived and it was time to go. With five people sandwiched into the sedan, Citari headed east to another party in a small apartment in Muldoon. She danced a little, Walker said. After an hour or so, everyone piled back into the Monte Carlo. The sun was up. None of the four survivors remembers the crash. Police say Wyatt’s 2006 Chrysler 300 luxury sedan, with three passengers, was headed north on Boniface Parkway when it sped through a red light at DeBarr Road without braking. The car slammed into the driver’s side of Citari’s westbound Monte Carlo. In the back of Citari’s car, 21-year-old Carlos Salazar was the first to regain consciousness. The last thing he remembered was seeing the Totem 8 movie theater and turning onto DeBarr. Now he saw trees. Firemen. Cops. The Chevrolet had come to a stop near a thicket of birch trees at the corner of Russian Jack Springs Park. A door ballooned inward. Salazar remembered that his roommate, Wrandee Alofaituli, had been in the front on the passenger side. But now her seat was empty. He looked at the two girls sitting motionless beside him. In the driver’s seat, someone had covered Citari with a white sheet. “I thought everyone was dead,” Salazar recalled. Walker, sitting behind Citari, woke to the sound of people shouting. There was a stabbing pain in her side and she couldn’t move her leg. She soon blacked out again, she said. Another passenger, Leakana Moth, opened her eyes as paramedics sawed away the roof of the Monte Carlo. Seven of the nine people in the two vehicles were hospitalized or injured, police said. Salazar said doctors placed him in intensive care, where they found a laceration on his liver. Moth suffered torn ligaments in her left knee and a fractured right ankle. She lost fluid in her kidney and lungs. She wrote another Tweet in caps: “F–K DOUGLAS WYATTS”. The Air Force described the passengers in Wyatt’s car only as members of the military, assigned to JBER. They are Michael Smith, Brandon Pritz and Janeen Lewis, according to the indictment. Base spokeswoman Erin Eaton said on Friday that she could not talk about the condition of the passengers because of the pending court case. She had been “unable to confirm all three names are active duty airmen,” she said. 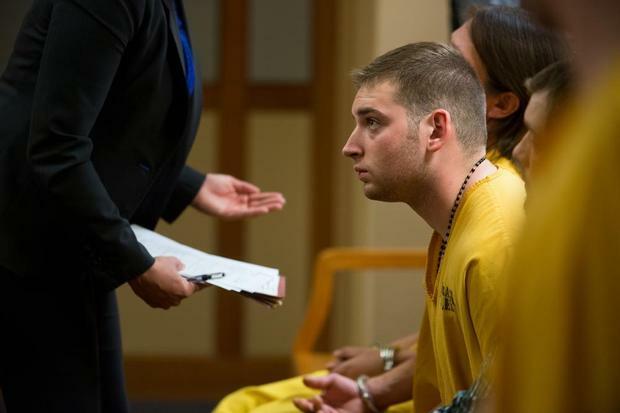 Wyatt appeared unhurt at his first court appearance two days after the crash. Lane Wyatt joined the Air Force in January 2012, just after this 22nd birthday. He arrived at JBER in October to work on Army and Air Force radio equipment for the 673rd Communications Squadron. We know little about how he spent the last hours before the accident. Commanders at Joint Base Elmendorf-Richardson did not respond to requests to talk about the crash. A fellow airman appeared in court to argue that Wyatt should be released on bail and allowed to return to his duties. Wyatt’s parents, who offered to pay more than $27,000 in bail, also declined to talk about the case or their son. A few details emerged in bail hearings, where prosecutors fought to keep Wyatt from returning to his JBER barracks without a third-party custodian. Wyatt had been drinking for seven hours at two bars before the collision, prosecutor Will Taylor said in court. Darryl Thompson, an attorney for the Sweatt family, said Wyatt drank first at the Bush Company. The airman told police he had eight drinks at Chilkoot Charlie’s, according to the charges against him. 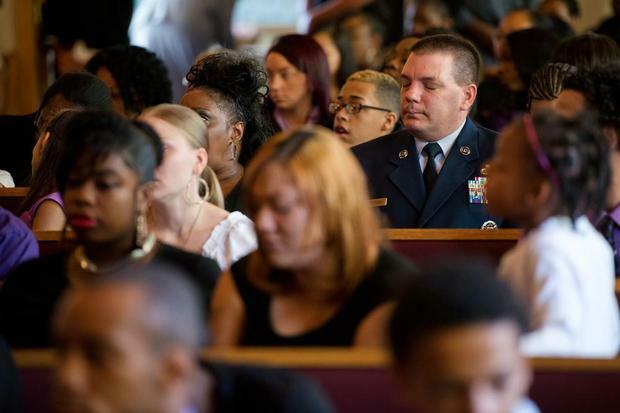 At some point upon leaving the bars, Wyatt took advantage of a volunteer program called JBADD — Joint Base Against Drunk Driving — that provides airmen and soldiers who’ve been drinking with free rides back to base, the prosecutor said. After returning to JBER, Wyatt got behind the wheel of his Chrysler sedan, according to police. At least one of the three others was a co-worker of Wyatt’s who lived away from the base. “After the accident, he failed to render any assistance to the victims of the other vehicle. He did not ask about the other victims,” Taylor said. Eaton, the spokeswoman for the 673rd on JBER, would not answer questions about Wyatt’s actions that night, including whether Air Force officials suspect that Wyatt drank at the barracks after leaving Chilkoot Charlie’s, how badly his passengers were hurt and whether they have since returned to duty. Defense attorney James Christie told a Superior Court judge that Wyatt had no criminal history. “As the facts come out in this case, his culpability is going to be substantially diminished,” Christie said. About 7 a.m., Lanita heard a knock at her door. People have told her that when something bad happens to your child, a strange feeling washes over you. That never happened to her, she said. She wrapped herself in a robe and cracked the doorway. Two uniformed officers stood in the darkened hallway. One of them, a woman, asked if they could come inside. She wanted to talk about Citari. “Is she OK?” Lanita asked. When the sergeant said Citari had died in a car accident, Lanita began to scream. The Sweatt family has lived in Anchorage ever since Lanita’s mother, Betty, drove here from Kentucky in the 1960s. Three generations attended church and school here. No one in the immediate family living in Alaska had died before. “I asked God to forgive me for thinking that I was untouchable, or my family was untouchable,” she said. Police told her not to go to the crash site, but she put on her church clothes and drove there anyway. Lanita hesitated for a moment before walking up to the police tape, where an officer told her Citari’s body was already gone. Citari had been a fat, hungry baby and a short, pretty girl, her mother said. She went to school at Russian Jack Elementary School and saved her report cards for free tokens at Chuck E. Cheese in Midtown. She hated for her mother to comb her hair. Taking inspiration from sprightly rapper Nicki Minaj, she liked to snap photos of herself in jumbo sunglasses and short dresses. Lanita now thinks the months that Citari spent living back at home, sleeping on a rollout bed because she couldn’t afford to fix the plumbing at her new apartment, must have been God’s plan. 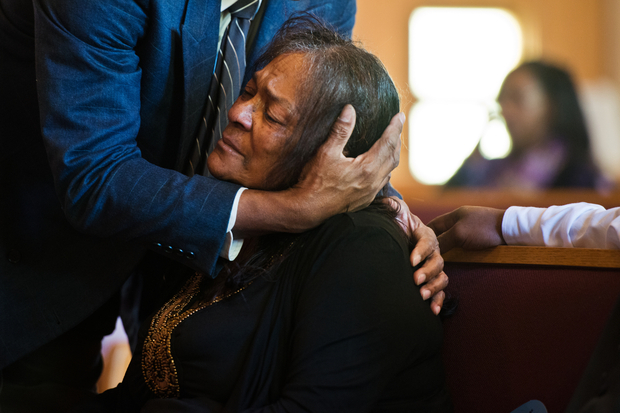 “He let her come back to me so that she could spend her last months here, with her mother,” Lanita said. Anchorage Police Chief Mew said he met with JBER commanders after the crash to talk about drunken driving. With about 3,000 soldiers returning from Afghanistan, drunken-driving arrests spiked over the past year, they told him. Eaton, the Air Force spokeswoman, told the Daily News she was not aware of any major base policies changing after Wyatt’s arrest but said the military has increased random sobriety roadblocks on JBER and boosted efforts to warn of the dangers of drunken driving with roadside signs and on social media. The Army forbid alcohol in barracks in February, joining an existing Air Force ban. No Anchorage bars are currently off limits to the military, a tactic commanders have used in the past to curb fights at problem watering holes. Military “courtesy patrols” walk downtown on weekends, however, offering to help any service members who have had too much to drink. The state prosecutor said Wyatt ignored regular safety briefings in which superiors warn the airmen not to drink and drive, and talk about options to get a safe ride home. Those briefings, which gave Wyatt an idea of the risks involved in drunken driving, Taylor said, provided the basis for Wyatt’s indictment for second-degree murder by a grand jury on Aug. 6. Wyatt sought to return to work at JBER after the crash. Defense attorneys said the military does not provide third-party custodians, but they said the airman would wear an ankle monitor, take regular Breathalyzer tests and be confined to base when he wasn’t working. His immediate supervisor, Staff Sgt. Corina Arangure, praised Wyatt at a hearing on Aug. 20. Judges have twice refused to release Wyatt on bail, saying there would be no one to watch him on nights and weekends as he awaits trial. In addition to murder, manslaughter and drunken-driving charges, Wyatt faces seven counts of assault. His trial is scheduled for November. 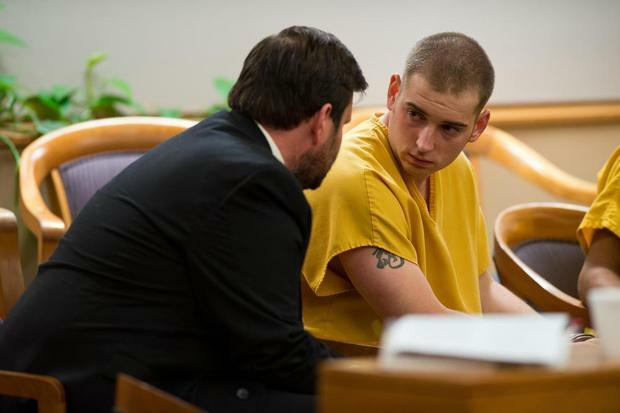 If convicted of second-degree murder, he faces at least 10 years in prison at a cost to the state of Alaska of more than $53,000 a year. The Sweatt family crowded the pews at Wyatt’s first court appearance downtown. Wearing a yellow jail shirt and a day’s growth of beard, the airman sat beside a series of other defendants, many jailed for alcohol-related crimes of their own. He wore a blank look as a lawyer talked to him, gesturing seriously. There were bags under Wyatt’s eyes. “I really honestly do forgive him,” she said. Salazar, the 21-year-old who was in the back seat of Citari’s car, is less remitting. He had a seizure while taking a shower days after the crash. A father of two, he now gets nauseous when he sits in a car. He no longer wants to drive. Salazar was once arrested for driving drunk himself. He drove his car into a ditch after drinking, he said. He contends that what Wyatt is accused of doing is different and he blames the airman for Citari’s death. Salazar used to work on JBER as a janitor, he said. He knows about the free shuttles that ferry drunken airmen and soldiers home from bars. Salazar has been to Chilkoot Charlie’s. There are signs on the wall advertising free rides for customers who are too drunk to drive, he said. “He’s Air Force. 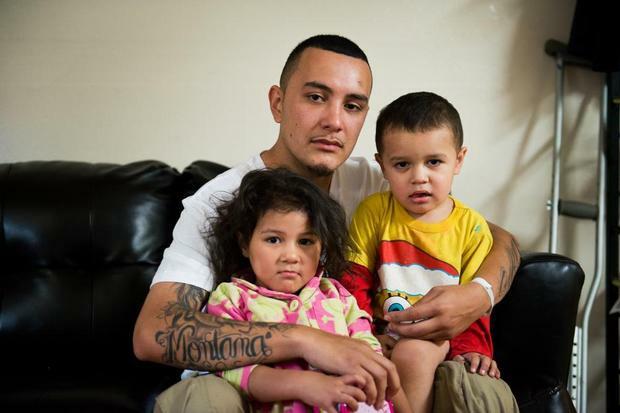 He’s supposed to serve and protect us, not take away from us,” Salazar said. To raise money for Citari’s funeral, her family held a car wash in Midtown. Friends stood in the Tudor Road median, holding posters of Citari’s face days after the accident. Some of the people who stopped recognized her as the girl from the news, the one police said was killed by a drunken driver. Some recognized her from Costco. By early afternoon, the family had raised about $230. 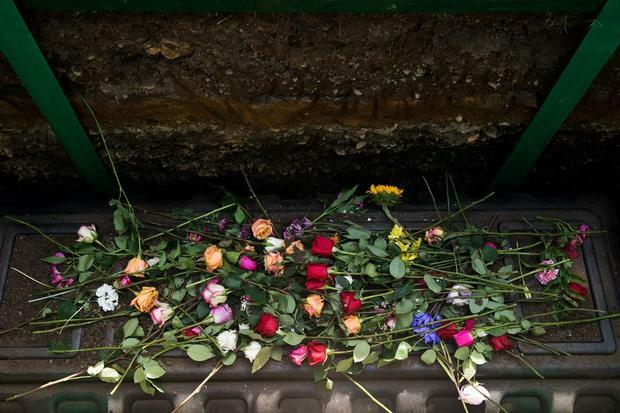 They had to choose one of the least expensive burial plans. 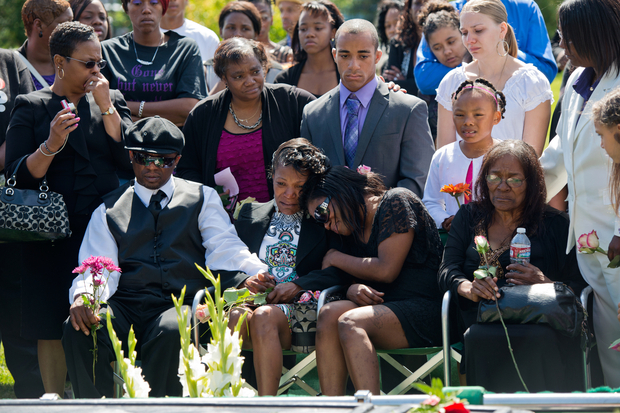 “We’re not the Gates,” Lanita said. Marika, Citari’s older sister, helped her mother and aunt pick a purple burial dress at the Northway Mall. Citari is buried at the Anchorage cemetery. 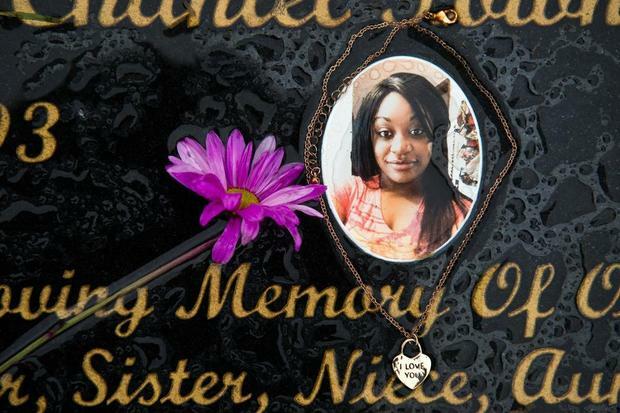 “With the proceeds from the car wash, we were able to get her a really nice headstone with her picture on it,” her mother said. Originally published October 12, 2013 by Kyle Hopkins in Anchorage Daily News.